The second floor of St. Mary's Cathedral buzzed with excitement on September 15, 2012. 90 bright and eager volunteers gathered in Parish Hall, ready for Minds Matter of San Francisco's third year to kick-off. 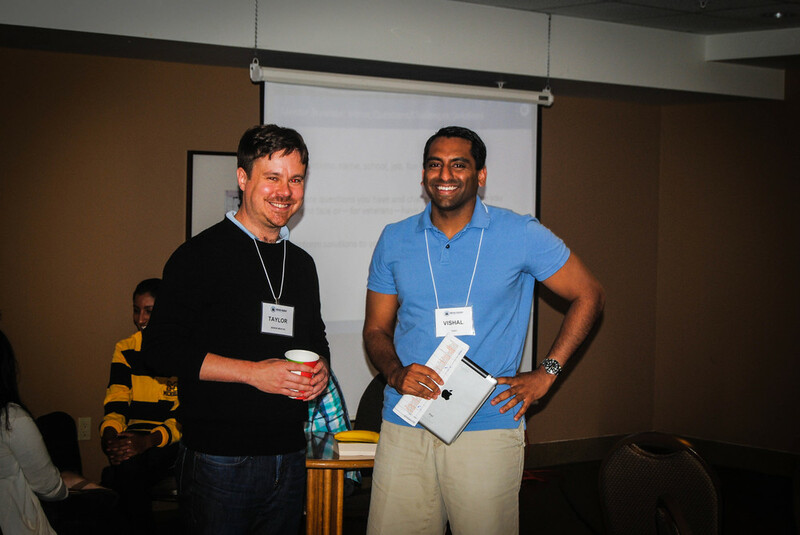 CEOs Taylor Bollman and Naveed Ahmad welcomed the blend of old and new members to Fall Orientation 2012. "The kids need our help to mitigate the gross inequality of opportunity," Bollman said about the lower income but high-achieving mentees. He went on to outline broader issues in education, contextualizing the need for the organization. For the next two hours, the room of young San Francisco professionals digested the mission of Minds Matter. During break-out sessions, veterans shared their past mentoring experiences with newcomers and everyone brainstormed solutions to potential challenges of the upcoming school year. The high engagement and interactivity of the small groups allowed volunteers to quickly bond with each other. Orientation ended with a panel of mentors, several of whom had mentored their high schoolers since the San Francisco chapter's birth. After insightful questions were posed and answered by the panelists, Ahmad eloquently wrapped up the session, stressing the importance of commitment and community. And with community-building in mind, dozens of volunteers headed to Lush Lounge for the Orientation Kick-off Happy Hour. Inspired and excited to meet fellow mentors, the Minds Matter of San Francisco chapter mixed and mingled. Cheers to the beginning of a fantastic year!